Here are the most frequently asked questions we get. If there’s something you want to know that isn’t answered here, please call us at (704) 787-5944. 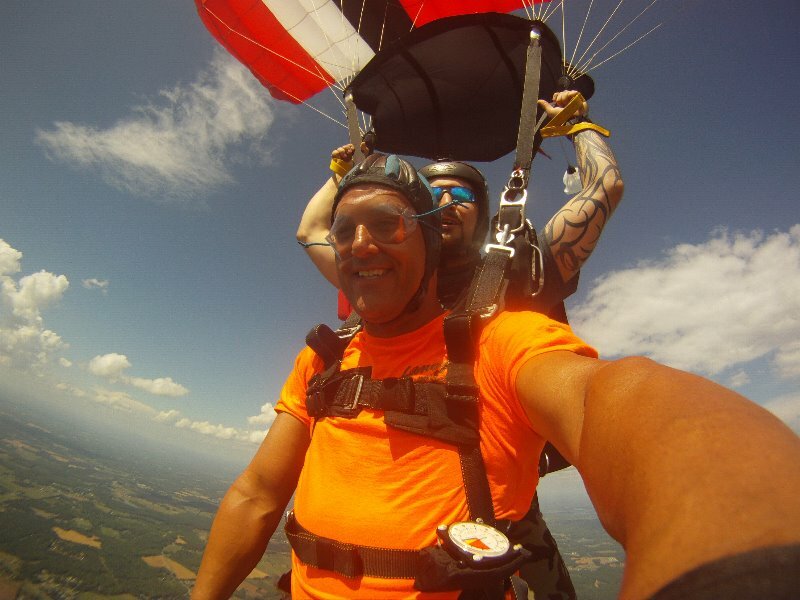 You can book your skydive online by clicking here, or call (704) 787 5944. A $50 non-refundable deposit is required to hold your reservation. The balance will be paid when you arrive to make your jump. 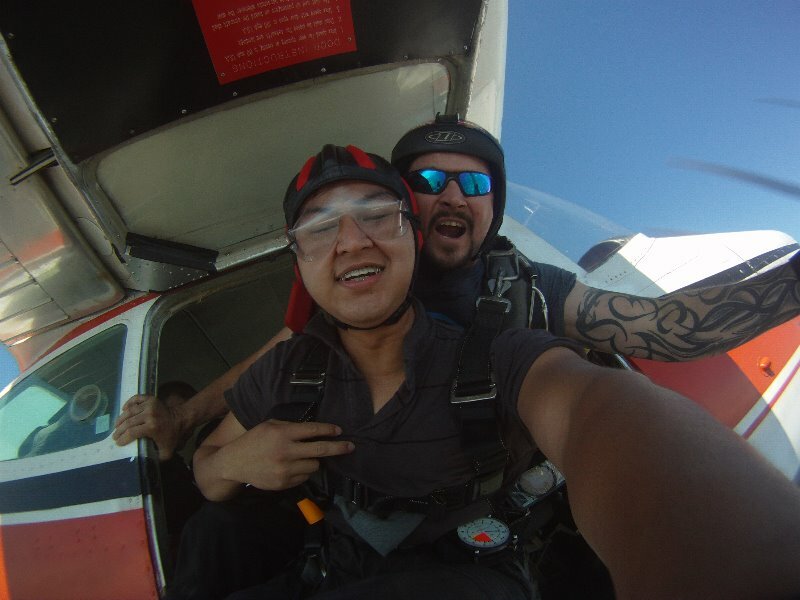 Prices vary depending upon the size of your group and specific discounts the tandem skydive is $219. Military and Student discounts are available too (must show current ID). We also offer great discounts for returning jumpers. Video and digital stills of your skydive are offered for an additional cost. Where is the Drop Zone? Despite what some of our competition might claim, we ARE the closest drop zone to downtown Charlotte. We’re located at Laney’s Aiport, near Maiden, NC. At less than 35 miles away, we’re just a quick drive from downtown Charlotte. We’re centrally located, so you can get to us from places in North Carolina like Asheville, Statesville, Greensboro, Winston-Salem without spending all day in the car. Same goes for our South Carolina friends from places like the Spartanburg, Greenville and Columbia areas. Click here to view our location on Google Maps. This location offers amazing scenery as a backdrop for your jump. You’ll get great views of Lake Norman, the foothills and even the Charlotte skyline! Yes. 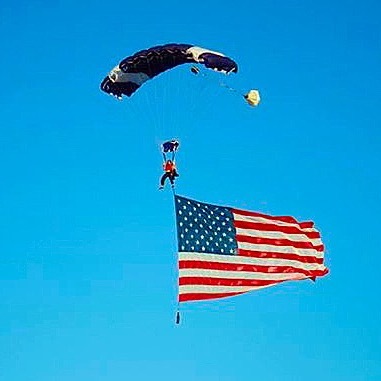 As a United States Parachute Association (USPA) group member dropzone, we adhere to the USPA Basic Safety Requirements (BSRs) and the parachute manufacturer’s, requirements that mandate you must be 18 years old or older to be legally permitted to perform any type of skydive. What are the Physical Requirements? In general, the prospective jumper should be in reasonably good physical shape. Some physical exertion will be required, like walking with equipment on. A jumper can not weigh more than 230lbs. Your body shape and size may also be a determining factor even if you weigh less than 230 Lbs. 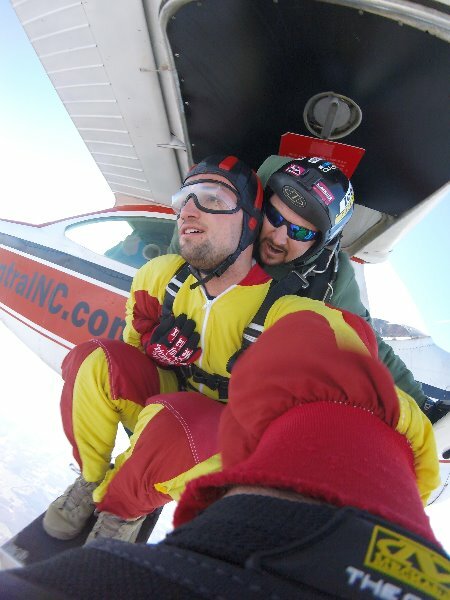 Is Skydive Central NC a Certified Skydiving Operation? Absolutely. 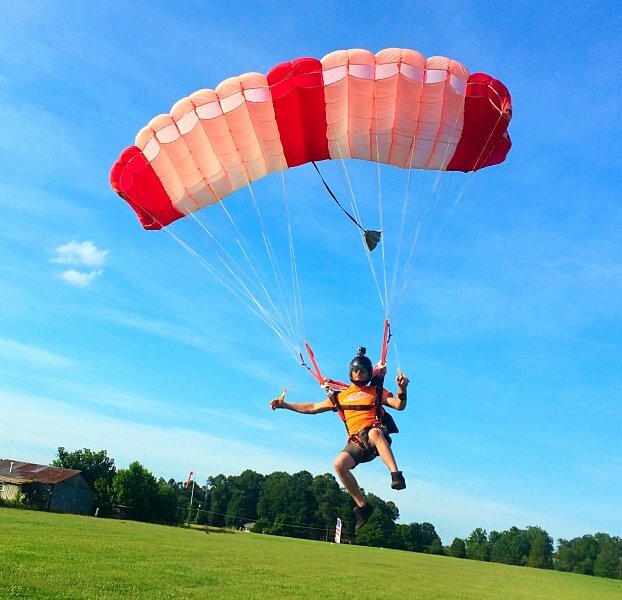 We are certified by the United States Parachute Association (USPA) – and as such adhere to USPA-developed first-jump training methods, use only current USPA-rated skydiving instructors and provide USPA-required safety equipment. 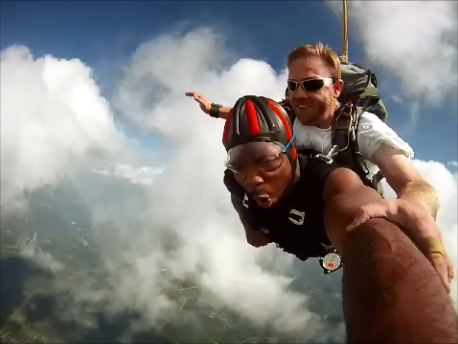 Our co-owner, Kelvin Wilkerson Jr, is both a USPA Pro Rated Skydiver and a USPA Safety and Training Adviser. Do You Employ Permanent or Temporary Staff? Unlike a lot of skydiving operations, we don’t use temporary staff. Which would you rather have, the jumpmaster or packer who’s only been familiar with the particular procedures or equipment you’ll be jumping with for a few weeks, or a permanent team like our’s, where everyone knows each other and all of the equipment like the back of their hand? That’s a no-brainer. 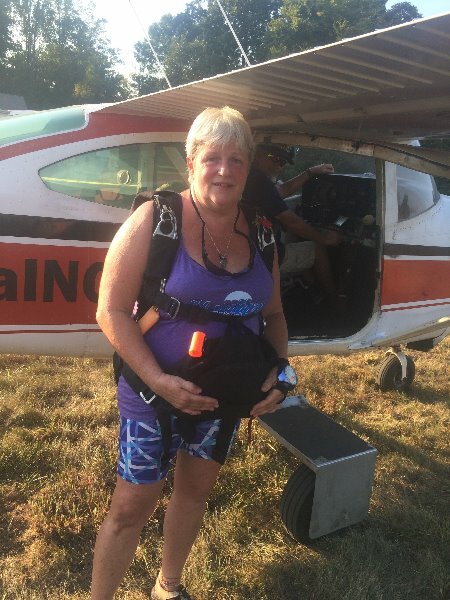 In the world of skydiving there are a lot of certified instructors and parachute packers who travel from region to region, working with different skydiving companies on a temporary basis. It’s a great way to see the world while making a buck doing what you love. While those people may be competent, there’s no question that they just can’t bring a level of familiarity that comes with being a permanent long-term staff member. Can I Reschedule My Reservation? We understand life throws curve balls once in a while. The earlier you can let us know the better, and as long as you give us more than 48 hours notice, we can re-book you for another open time without you losing your deposit. Unfortunately if you need to change plans within 48 hours of your jump, you’ll forfeit your $50 deposit and will be required to submit another $50 to make a new booking. Will You Match the Price of Another Skydiving Company? Even Groupon or Living Social? You bet! If another competitor within 50 miles of Charlotte is offering a lower price, we’ll match that price. Give us the information of the deal you’d like us to match, and we’ll book you in at that advertised price. And yes, that includes matching (active) Groupons or Living Social deals! We promise you’ll get the same amazing full experience we provide all our jumpers. 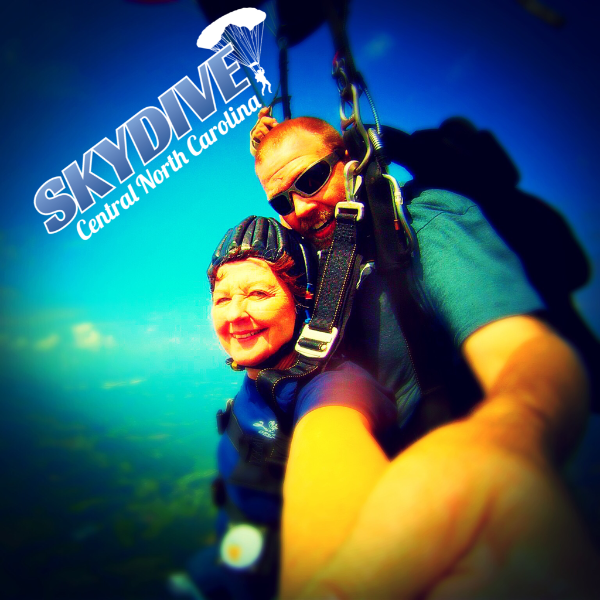 No one leaves Skydive Central North Carolina’s drop zone unhappy! 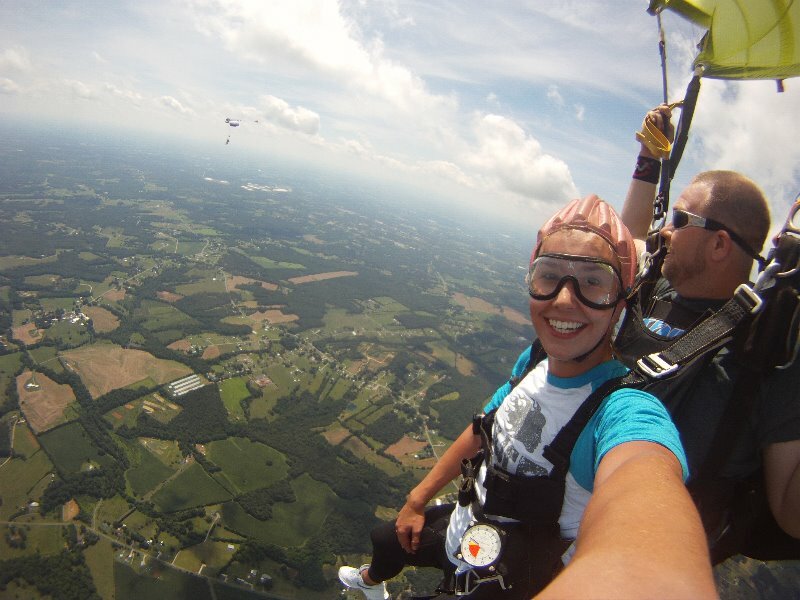 We do what we do for the love of skydiving and we want you to love it as well. Groupon and Living Social are especially bad for a company with fixed costs like a skydiving operation. After Groupon takes its cut, there’s almost nothing left for the business. This in turn forces skydiving operations to skimp on the experience – jumping from lower altitudes and rushing jumpers to get more people through. Don’t let a cost-cutting competitor trying to recoup their Groupon losses ruin what should be the thrill of a lifetime. Trust us…you don’t want your skydiving operator taking shortcuts to make up for lost profit. How High Will I be Jumping From? We normally try to have our jumpers exit the aircraft at 10,000 feet. What Type of Parachute is Used? The parachutes used are specially designed, large “ram-airs”. A “ram-air” is a modern high-technology square parachute that allows you to control your direction and rate of descent, as opposed to the old-style round parachutes. Can My Friend and I Split the Cost of a Video and Share it? You could, but you won’t get the result you’re hoping for. Each tandem pair will have over a quarter mile of separation from each other so you will not be near each other during freefall, nor can you hold hands or talk to each other in freefall. A videographer cannot physically fly between 2 tandem pairs and get video of both. Each tandem student needs to get his or her own video. Can My Friends and Family Come to Watch? What Does it Feel Like to Skydive? We could tell you, but we’d have to kill you. Seriously though, it’s the closest thing to natural flight you’ll ever get. 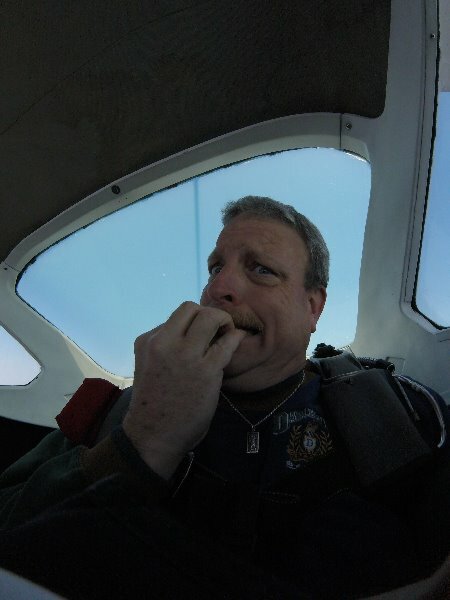 Skydiving puts all your earthly fears into manageable perspective. It inspires such complete focus of attention, that all other worries, aggravations and frustrations are forgotten. It charges you with such energy and spirit, that vitality lost to the mundane world snaps back with invigorating speed. Skydiving inspires freedom of spirit, and attracts some of the most interesting people on earth. Come find out for yourself. We guarantee you’ll be glad you did! To put it simply, yes. 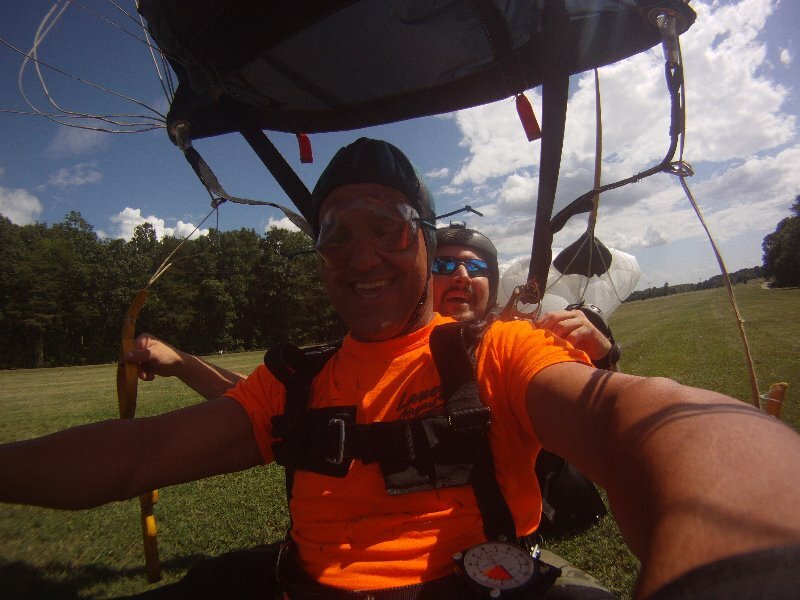 At Skydive Central NC, we’ve never had a serious injury, and we’d like to keep it that way. Our number one priority is your safety. Obviously skydiving is a high-speed aerial sport that exposes its participants to the real risk of injury and death. We mitigate that risk by employing a permanent, professional staff who are experts at what they do – getting you both up in the air and down again safely. We’ve been skydiving for over 60 years, and our USPA-certified family of instructors and pilots are second to none. They know our procedures, equipment and aircraft inside and out, and maintain all equipment just like it was their own. The only thing you need to worry about is having a great time! Tandem skydiving is a parachute built for two with the student and instructor securely harnessed together under one parachute. It’s a safe and fun way to introduce yourself to skydiving. Upon completion of an instructional briefing, you and your instructor will board our aircraft and ascend to over 10,000 feet. Once you leave the aircraft, your instructor will take care of deploying the parachute at the proper time and make sure you land where you’re supposed to. You will land back on our beautiful grass strip where your family and friends will have been able to watch the whole process. What is Freefall? How Far Will it Be? What Does it Feel Like? Freefall is the term used to describe the time you leave the aircraft until the parachute is deployed. In essence, you are falling freely through the air, though in practice you will be under control and using techniques and equipment to slow you down slightly. The normal amount of freefall for each jumper is between 4000 – 5000 feet. Freefall is not the “roller coaster drop” feeling most people expect it would be. It is a comfortable sensation of floating and support, with a slight pressure of air against your body. 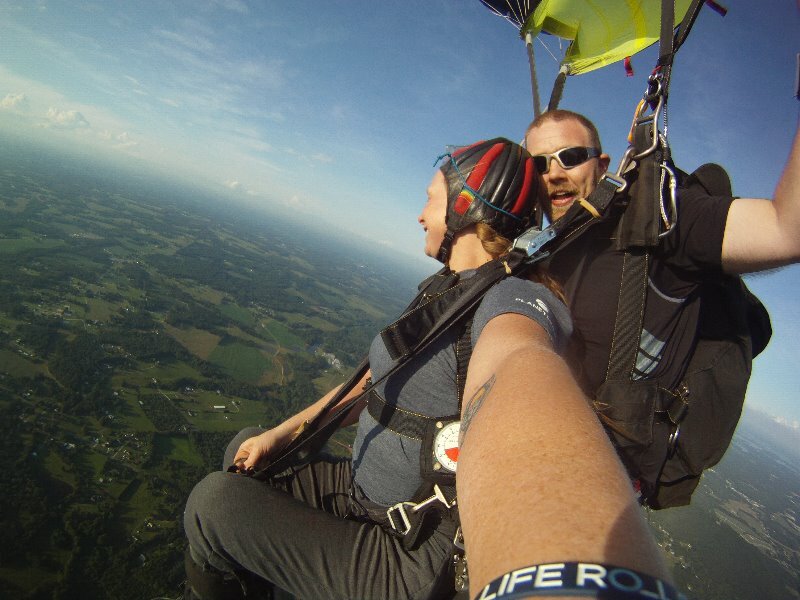 Freefall is the closest thing to human flight, especially when falling “relative” with other skydivers. In relation to other skydivers in the air, a jumper can move forward, backwards, up, down and all around in the sky. What if the Parachute Doesn’t Open? 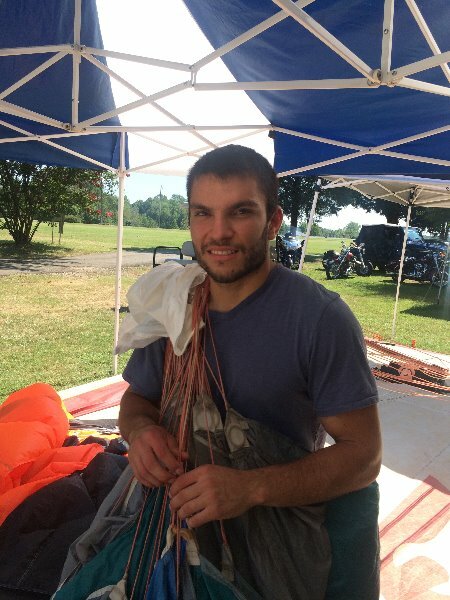 By law (FAA regulations), all intentional parachute jumps must be made with a single harness, dual parachute system with both a main canopy *AND* a reserve canopy. In other words, you have a second (or spare) canopy in case the first one fails to open properly. However, it must be noted that the technology utilized in today’s sport parachuting equipment is light years ahead of the old military surplus gear used in the ’60s and ’70s. The canopies are DRASTICALLY different from the classic G.I. 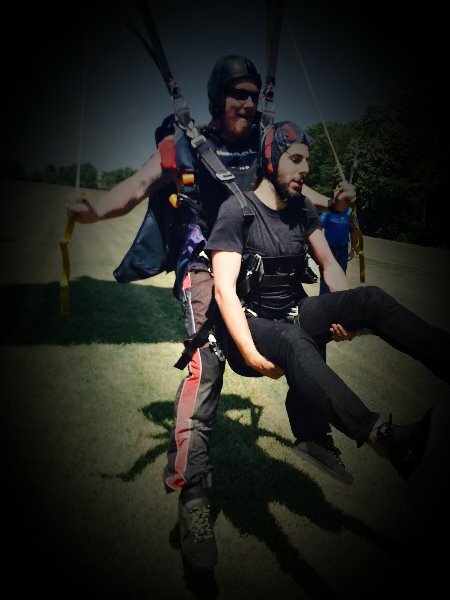 Joe round parachutes. The materials are stronger, lighter and last longer, the packing procedures are simpler, the deployment sequence is much more refined, etc. The reserve canopies are even more carefully designed and packed. The reserve parachute must be inspected and repacked every 180 days by an FAA rated parachute Rigger – even if it has not been used during that time. The student’s main canopy is always packed either by a rigger or under a rigger’s direct supervision by experienced packers. There are also additional safety features employed to ensure canopy deployment such as Automatic Activation Devices (AAD), Reserve Static Lines (RSL) and Sky Hooks which add still more layers of safety. What if the Weather is Bad on My Jump Day? We do our best to try and not make people wait for long times, or waste a day waiting for better weather that might not come. If our local area is experiencing bad weather and we know for a fact we cannot jump, we call each person and attempt to reschedule them. If the weather is going to be iffy, we’ll notify you via email explaining the situation and ask you to call us before leaving home to check the weather. So check your emails, and when in doubt, you can always give us a call on the day to make sure. You’ll want to arrive no later than the time your reservation is for. You are welcome to show up a bit early to get a head start on the paperwork if you like. Just be aware that arriving early doesn’t mean you’ll get in the air faster. Dress comfortably for the weather. Make sure to wear or bring sneakers or flat sole shoes, as you will not be permitted to jump on open-toed shoes, sandals, flip flops, shoes with heels or barefoot. How Long Will it Take to Make My First Jump? For a tandem jump, plan for a minimum of 3 hours of training and preparation. I Get Scared Easily. Is it Okay to Have a Few Alcoholic Beverages or Pop a Few Pills Beforehand? Definitely not. Skydiving is a serious sport and requires that both instructor and student to be at 100%!!! If you show up with signs of intoxication or if we suspect impairment of any kind (even if it’s from the night before), for your own safety you WILL NOT be allowed to make your skydive and will forfeit your deposit. What Else Should I Bring? Essentially all you need is government issued photo ID and a payment method if you haven’t yet paid in full. Cameras are fine, but keep in mind that you can’t take anything with you during your jump on account of it being a safety hazard. We’ll have a photographer and videographer to document your jump, and you’ll be able to purchase the footage. Don’t wear jewelry or anything that could possibly become tangled. No alcohol is allowed on the premises. I’ve Done my First Jump and I’m Hooked! What’s the Next Step? Basic parachute training consists of a series of jumps made under the direct supervision of an instructor. Each jump is preceded by a session on the ground followed by a jump. It takes from about 10 to 15 jumps until the student is competent enough to be cleared to jump without instructor supervision. Since most students are weekend skydivers who make two or three jumps a day, the typical student takes about a month to graduate. After graduation, the new jumper practices his skills and learns new ones. He or she becomes eligible to earn licenses that attest to the jumper’s competency. From there the sky is the limit. The new skydiver has the freedom of the sky to share with others who enjoy the exciting sport of skydiving. 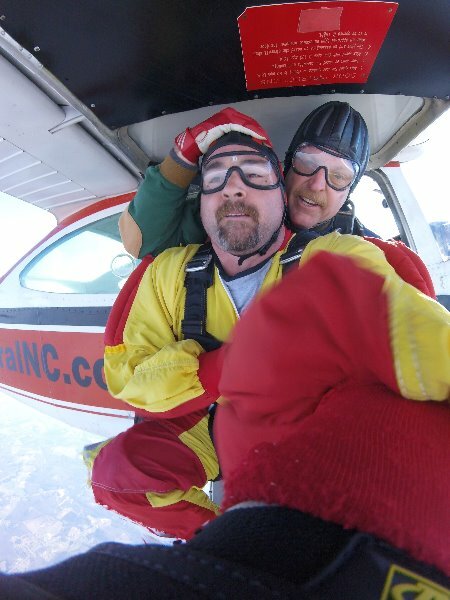 Charlotte Area's Highest Rated Skydiving! Awesomeness!!!! Safety is their priority!! They re-scheduled me three times because it was either too windy or raining. It was worth the wait!! Thank you to Mr Kelvin, the owner, for calling me ahead of time before I left Greenville, SC to let me know that it was not gonna happen. Thank you to Renee, the awesome lady in the office. She is super super cool and very accommodating. The entire staff, super friendly. My tandem partner, Dude, thank you!!! You were very professional and an expert! I will be back! I had an amazing time!! Will definitely be back.The staff was very friendly and down to earth. Thank y'all for this awesome experience! Had the most amazing day here! The people were so nice and made us feel like family from the moment we arrived until the moment we left. Thanks for changing our lives forever see y'all again soon! Exhilarating experience! They make you feel safe and the staff is very friendly and supportive along the way. I highly recommend them for your first time or if you're an experienced jumper. Thanks y'all! What an absolute amazing experience! The whole staff was so super nice, and I always felt super safe. One of the best days of my life for sure!